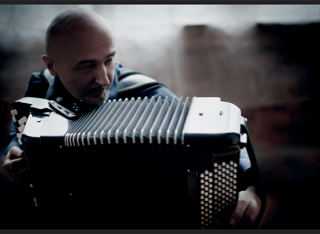 ﻿Concert ﻿soloist ﻿and ﻿chamber ﻿musician, ﻿Joseph ﻿Petric ﻿is ﻿an ﻿intrepid ﻿accordionist ﻿who ﻿flows ﻿effortlessly ﻿across ﻿artistic ﻿boundaries. ﻿The ﻿intensity ﻿and ﻿fluidity ﻿of ﻿his ﻿performances ﻿have ﻿captivated ﻿audiences ﻿from ﻿Tokyo ﻿Spring ﻿to ﻿the ﻿Berlin ﻿Philharmonic. ﻿Musicians ﻿and ﻿audiences ﻿alike ﻿respond ﻿to ﻿the ﻿energy ﻿and ﻿innovation ﻿he ﻿brings ﻿to ﻿the ﻿stage. Accordion photos: &COPY; Will Meijer.